The Dalai Lama and a groundbreaking psychologist present a collaborative work about human emotions and spirituality that bridges Eastern and Western philosophies to cover such topics as the sources of hate and compassion and the plausibility of forgiveness. Tenzin Gyatzo, the Fourteenth Dalai Lama, is the recipient of the Nobel Peace Prize and is the temporal and spiritual leader of the Tibetan people. The author of The Art of Happiness, among many other books, he is the head of the Tibetan government in exile and resides in Dharamsala, India. 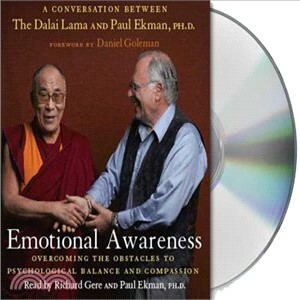 Paul Ekman is the world’s foremost expert on facial expressions and a professor emeritus of psychology at the University of California Medical School in San Francisco. He is the author of fourteen books, including Emotions Revealed and lives in northern California.